Route 66. To some, just another highway. For others, a flourishing and booming time of America’s history. While in Arizona, it just seemed natural to travel a portion of this road... just to see how it must have felt for those in the past travelling from Chicago to Los Angeles. It was a free feeling travelling through the marvelous landscape on the warm summer day. It is a bit irritating, though, as it is not complete anymore. Constantly you will be led on and off between the I-40 and the Route 66. But there are still impressive sections remaining of the old road. Above you see one of the remaining stretches of the old highway in Arizona that is still they way it used to be and is located between Flagstaff and Kingman. Even while visiting Seligman, you can always find your way back home. Near this particular shop are funny distance signs with lots of destinations in several states. Seligman, Arizona is a town that really seemed quite dedicated to the Route 66. There were plenty of chances to buy souvenirs which included Route 66 memoribilia as well as license plates from all over the world and other tokens of Arizona. Kingman comes after Seligman. 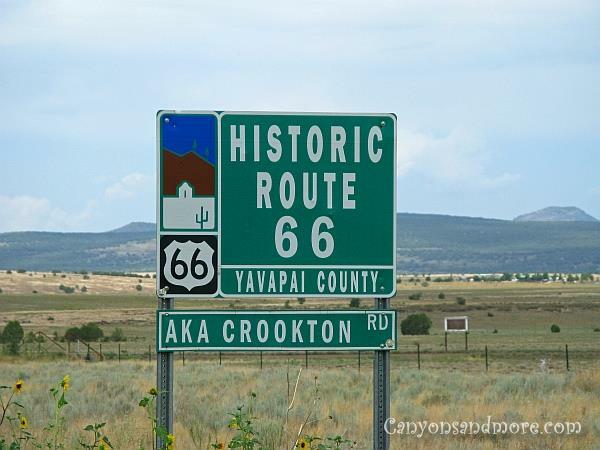 This was another town that once boomed from the Route 66. It has also a diner and couple of reminders of Route 66. While in Seligman, it was obvious that the town was once part of this historical street. Practically every shop, hotel or restraraunt had Route 66 signs and a few shops were dedicated to the street, offering souvenirs and such. Some more than others. 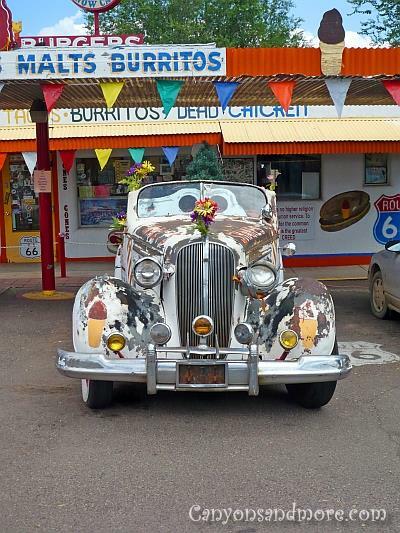 There is a classy and well maintained cadillac parked on the highway going through Seligman, Arizona on the Route 66. It is worth stopping and parking somewhere to admire these relics of a time long past. 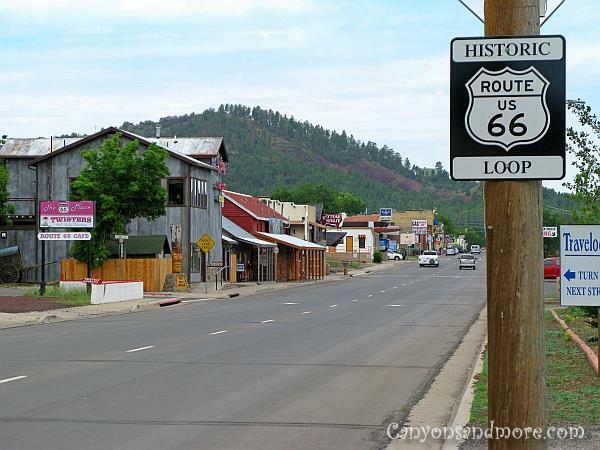 The town of Seligman is not really big, and all of the attractions are found on the main street which is at the same time the old Route 66. You will see reminders such as old street signs and license plates of the past. If you need a couple of good laughs, come to Seligman. There is no telling what you may find. One of the curiosities is a tombstone with a funny poem on it. But you will find plenty of other reasons to chuckle while here. Sadly, many old businesses lost out to the new interstate. There are a lot of reminders in the town such as run down buildings and old forgotten cars and trucks. At the same time, well kept old cars, taxis and trucks from the 50’s and 60’s era are parked on the road to add to the feeling of how it used to be. This could be a smorgesbord for fans of old timers. 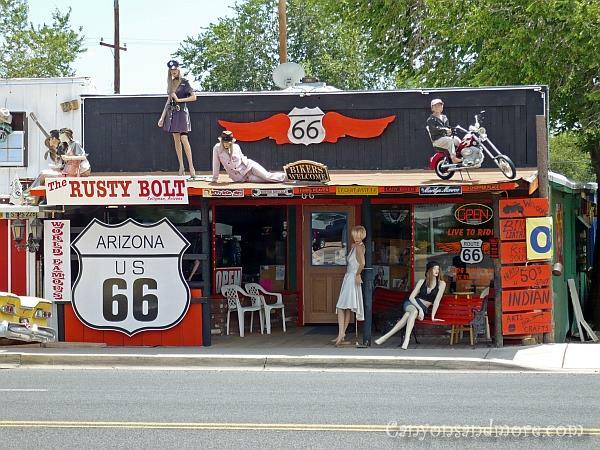 One gift shop, The Rusty Bolt cannot be missed in Seligman. The mannequins add to the flair of the store, which is in the style of Harley Davidson. One town on the Route 66 is Williams. One highlight of the town is a diner, “Goldie’s Diner” as one would have expected to see in the 50’s or 60’s. Friendly waitresses served a delicious and hearty breakfast. The diner is complete with old pictures and memorbilia from a time in the past. It is a charming experience eating there. Williams seemed a mix of the old and new. Too bad, actually. But worn down buildings of once successful businesses indicate just how this former booming town prospered from the road going through. Now these relicts are just a memory of the past. This sign was hanging outside of one of the shops on the main highway leading through Seligman. There were also possibilities to purchase all sorts of Route 66 signs at the souvenier shops. 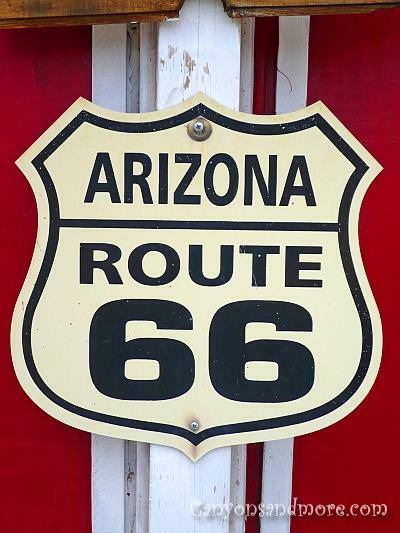 When travelling, the signs remind folks that they are still on the Route 66. Occasionally while driving, it is not obvious whether if you are still on it or not. It seems to occasionally become the I-40 again in several locations. This “grave” has a funny story. 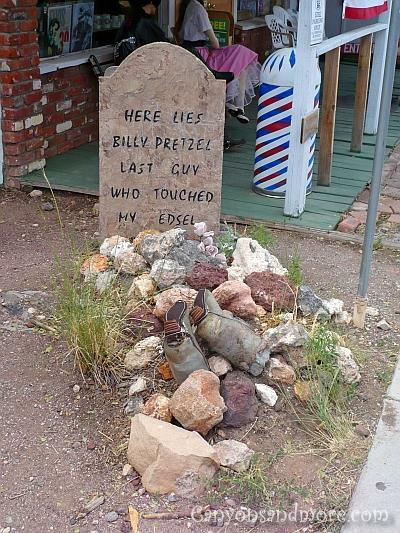 On the stone reads, “ Here lies Billy Pretzel last guy who touched my Edsel”. Lesson learned! Just another one of the funny sights you will find in this town. 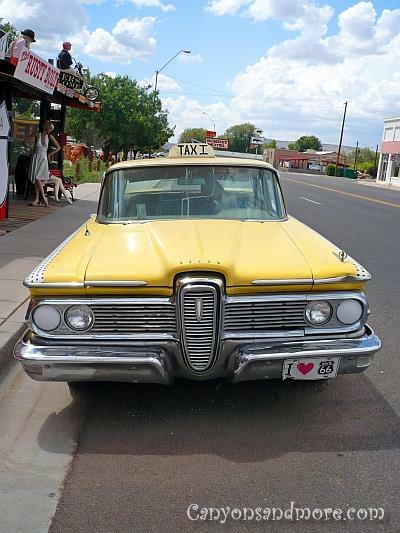 A yellow cab parked along the main highway going through Seligman was still in excellent condition. Another example of one of the vintage cars that can be seen in this town. Imagine the days when these cars were commonly seen travelling on the Route 66. 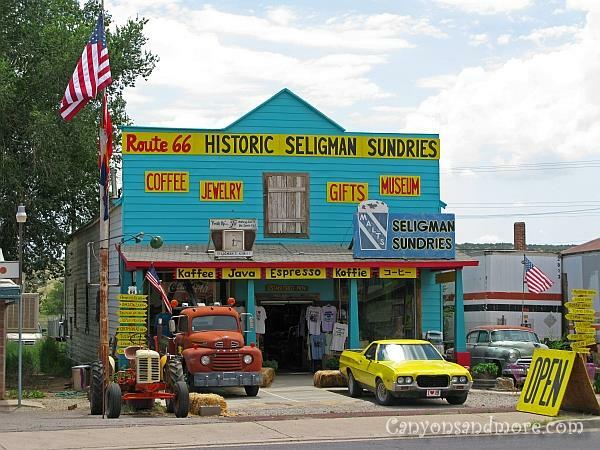 It is already worth travelling to Seligman if you are into nostalgic cars. This is just one of many parked in the town for viewing. 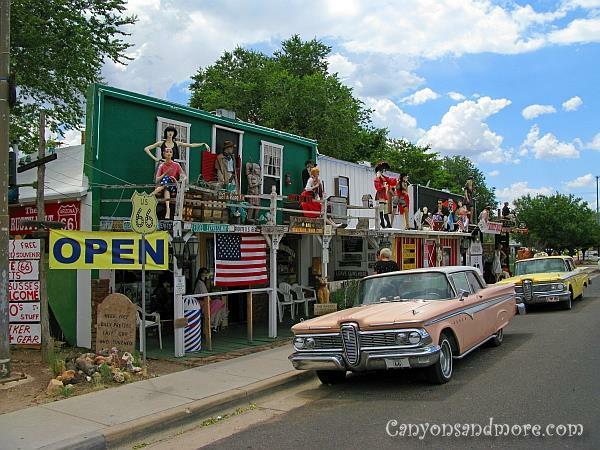 The Route 66 is well known and famous all tourists from all over the world take holidays to the USA just to see it. It is the nostalgic flair of the road that attracts them as well as the feeling of freedom while travelling across vast landscapes of the country. 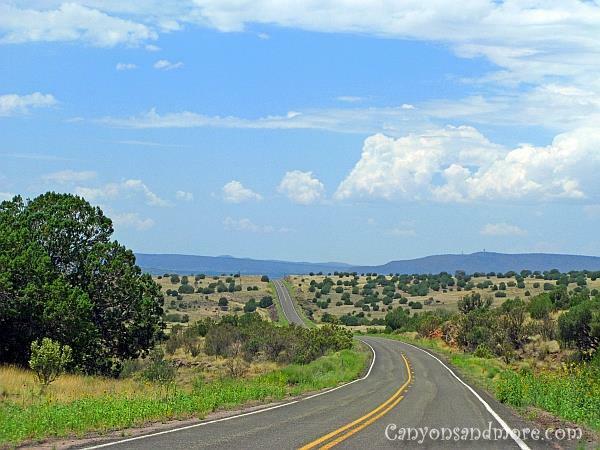 When driving west out of Seligman, you get the feeling you expect to see on the Route 66. A long stretch of highway with a feeling of freedom and vastness. A funny experience on this stretch of highway are the billboard signs for Burma Shaving Cream. These are lined up in groups of 4 and each group has an amusing rhyme for the product.